Living a positive and inspiring life is not only for naturally optimistic people. You can train your brain to serve you better and provide you with the resilience, strength, wisdom, and serenity needed to increase your quality of life. 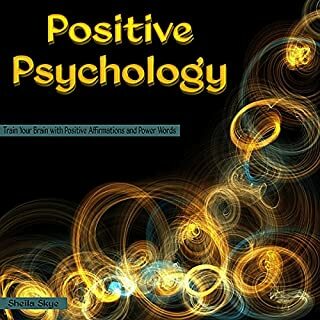 You can put the study of positive psychology to practical use through inspiring positive affirmations that lift you into a higher, more positive frequency. 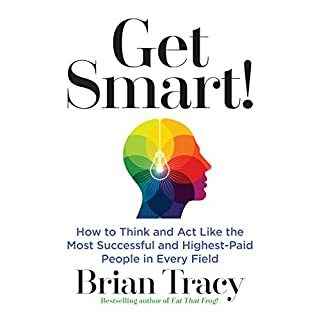 Becoming who you really want to be is only a matter of training yourself to think like a winner, which is exactly what this audiobook aims to help you do. If you want to become successful in your life, the secrets are revealed in Motivation 101. These hidden gems will encourage and prepare you to take action. It is these actions that will translate to increasing the results you want. 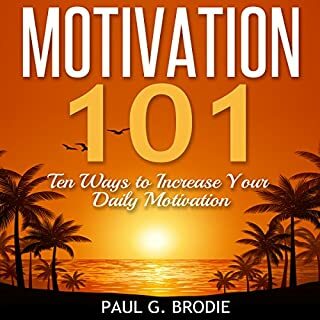 Motivation 101 will help open your eyes, mind, and body while teaching you how to stay motivated and take action to accomplish your goals. 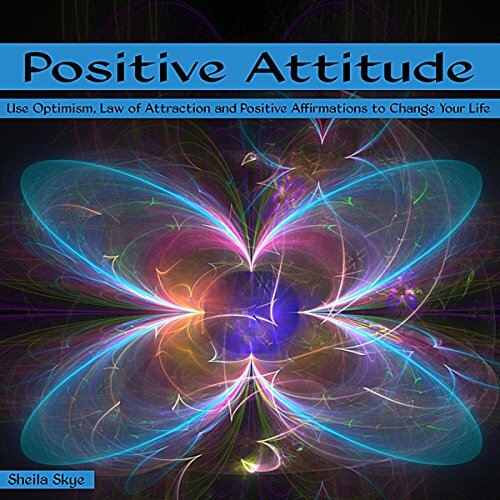 The Law of Attraction is more than trying to attract positive events into your life. It is about changing the very core of how you think. It is about reshaping and rewiring your thought patterns, so that you can become the person you know you are destined to be. Your attitude can be the difference between living a satisfying life and living a life in which you constantly feel low. Whether you are naturally an optimist or a pessimist, you have the power to change your outlook on life at any moment. If you notice your current attitude is not serving you or bringing you more joy, then it is time to change your perspective to something more beneficial. 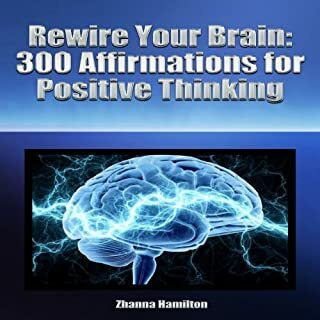 By incorporating positive affirmations into your life, you allow the Law of Attraction to positively influence your reality. Since your thought process is directly correlated to what kind of life you lead, changing your thoughts to better serve you will attract more of what you do want while repelling what you don't want. 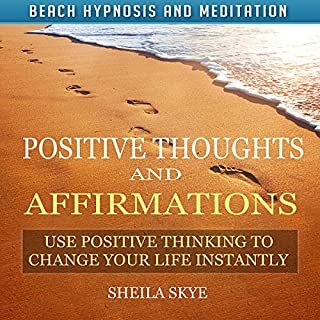 This audiobook is intended to help you on your journey towards a more fulfilling and positive life. Allow yourself to live your best life by actively changing your attitude to serve you. Awaken your most ideal self and allow yourself to gravitate towards that person until you become them. Allow the Law of Attraction to enhance your well-being and increase your happiness. First, there is a lot of great music on here. For the music and nature sounds alone, I think I would have gotten this audiobook, as it plays like a new age album. 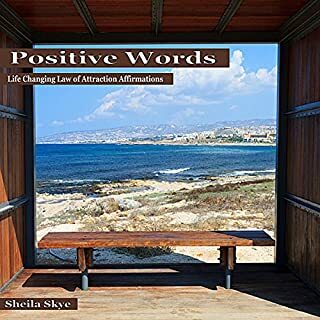 However, it is better than a music album, as it actually incorporates law of attraction affirmations into this soundtrack of new age music. I loved the inspiring words and found that they gave me energy as I listened to them. I am impressed and will be getting more audiobooks from this author. truly nice to hear a positive word of encouragement. I listen to it before i go to bed,and first thing in the morning it's been helping me,and my 14 year old son. back in a place of peace,but also reminds you..you do matter just think better. This was one of the most down right indications of nothing but using another's work to make money. Do not buy this !